Product categories of Gas BBQ Grill, we are specialized manufacturers from China, Propane Gas BBQ, Natural Gas BBQ suppliers/factory, wholesale high-quality products of Gas BBQ Grill R & D and manufacturing, we have the perfect after-sales service and technical support. Look forward to your cooperation! 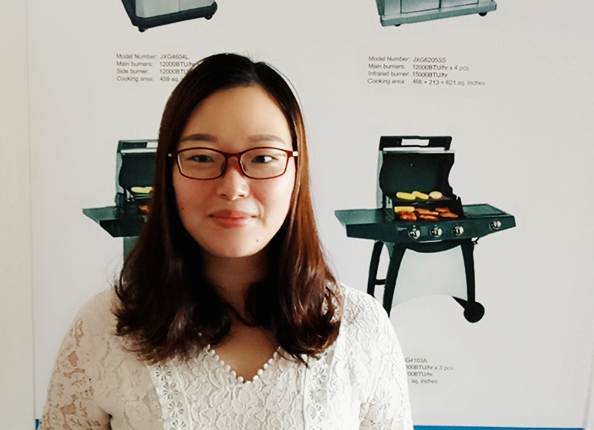 JX BBQ is specialized in designing and producing of BBQ Grills over 10 years in China, with product categories of Outdoor Gas BBQ Grills, Charcoal Grills, Pizza Oven, Heating, Grill Tools And Accessories. Our Gas Grills range is with Full Size Gas Grill, Portable Gas Grill and Built-In Gas Grill. The Gas BBQ Grills are keep up to date with the latest standard of CE, CSA /UL, and AGA certificate. Exclusive Customized Design service is available here. From Concept & Design, 3D Structure modeling, CAM Prototyping, Tooling and Production, one stop shop of project management from design to stores. With a strong work team of technical design, complete project control, superior quality assurance and good after service, we are honor to be the BBQ Grills leading supplier in China. We are the reliable partner for you.